There's something contemplative and spiritual about a drive to the old family homestead right before Christmas, especially when it's cold enough to be Cristmasy, but you can't say "the weather outside is frightful." I was moving too early to catch rural Christmas lights, but the moon gifted me with this fine, sunset-lit rising on the second day of winter. 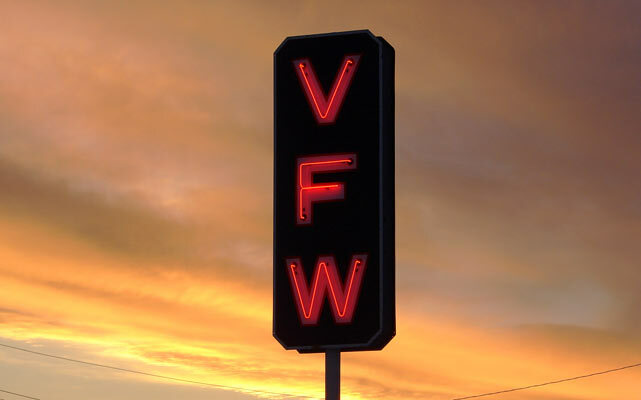 I'd been looking for a time to shoot the Parsons, Kansas, VFW neon sign. This was it. A bit later, clouds (cirrus?) lent the moon this striated camouflage. 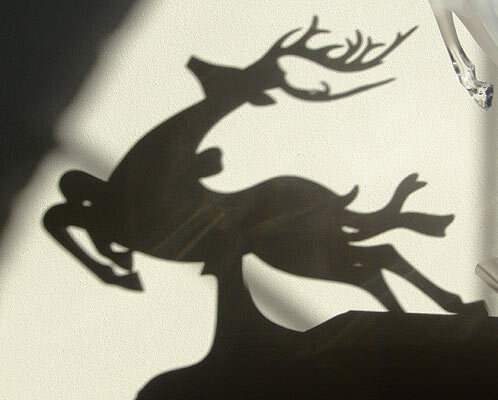 Perhaps the moon is trying to hide from werewolves so they won't transform and bother Santa...ya think? Back at ye ole' family homestead - It's serendipitous what one sees in the room when at the computer.